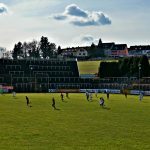 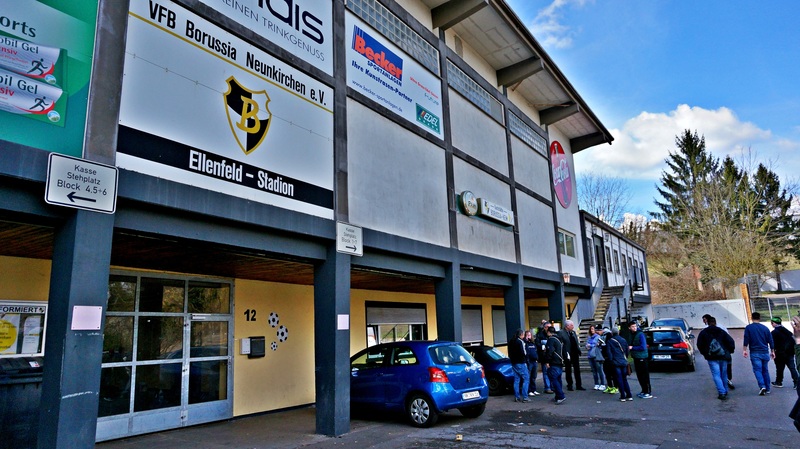 As this week another petition showed up to keep the Ellenfeldstadion as it is now, it was time to visit the beautiful ground in Neunkirchen. 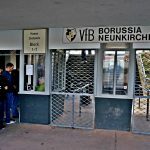 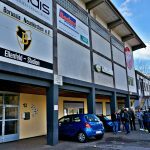 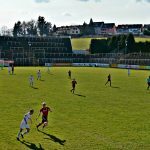 The local Borussia VfB Neunkirchen (Borussia Verein für Bewegungsspiele Neunkirchen e.V.) 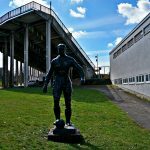 was founded back in 1905 as FC 1905 Borussia and merged 2 years later with SC Neunkirchen and Freie Turn- und Spielvereinigung am Realgymnasium zu Neunkirchen. 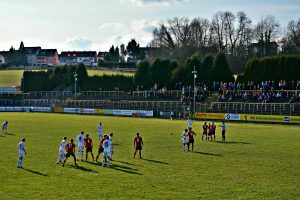 The club played at the top-levels of German football between 1912 and 1963. 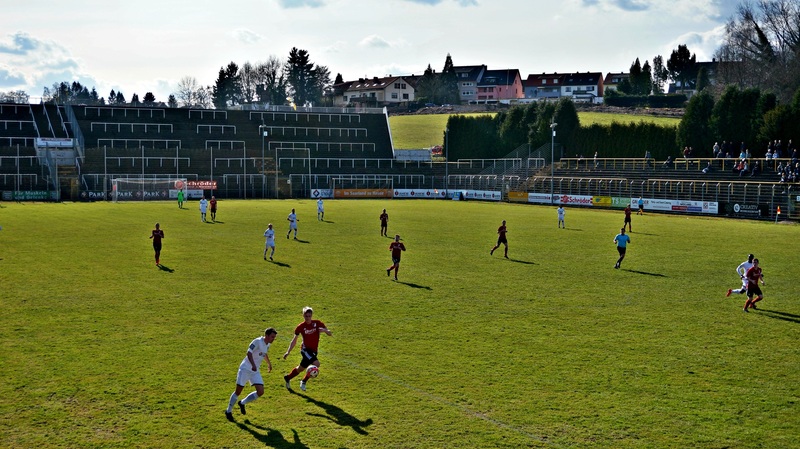 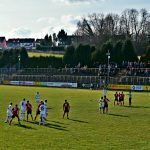 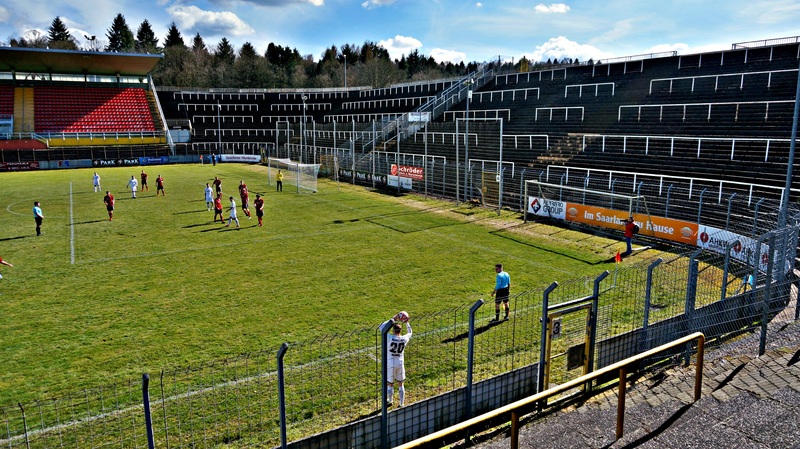 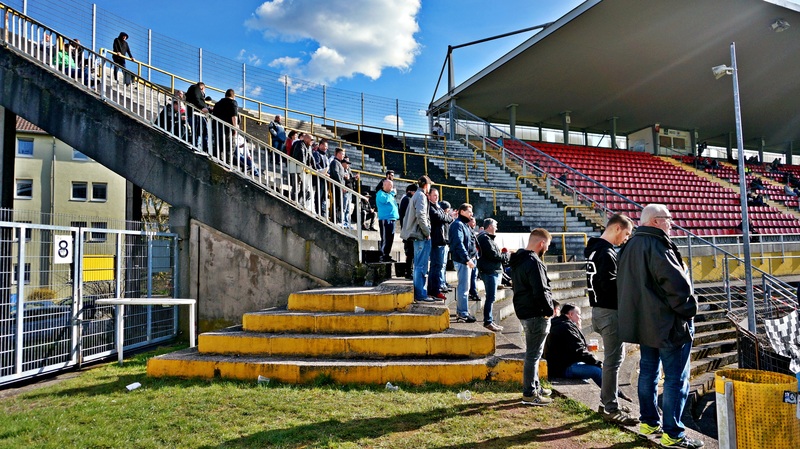 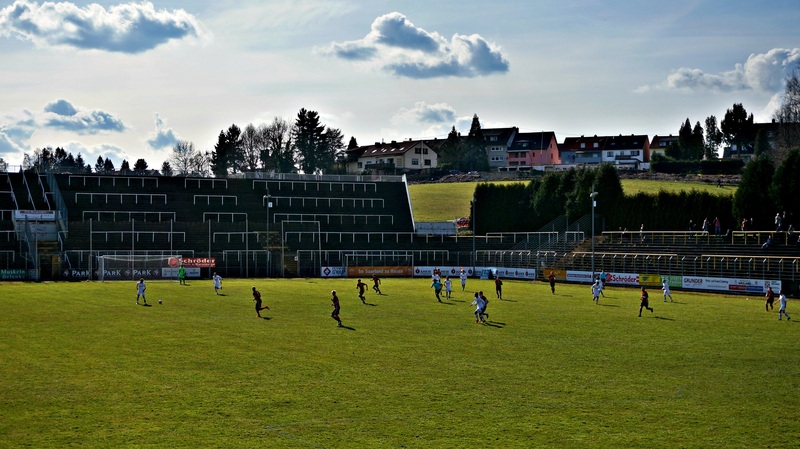 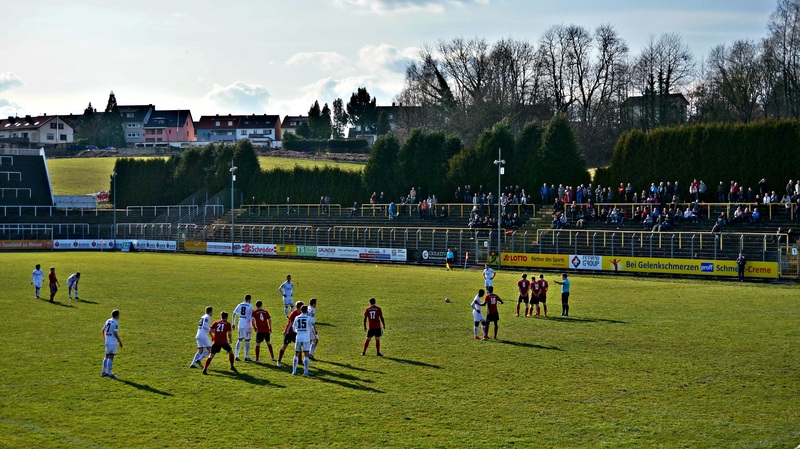 Nowadays Borussia Neunkirchen is active at the 6th tier, which is called the "Saarlandliga". 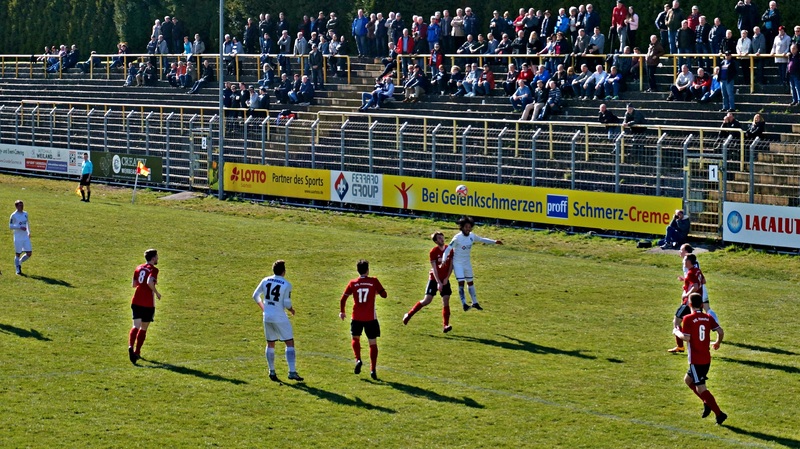 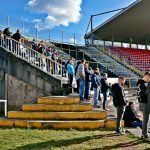 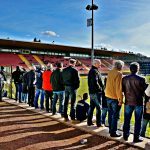 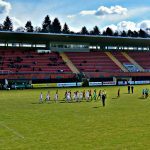 About 700 fans showed up at the Ellenfeldstadion for the game against VfL Primstal and both sides got a few small chances in the first half. 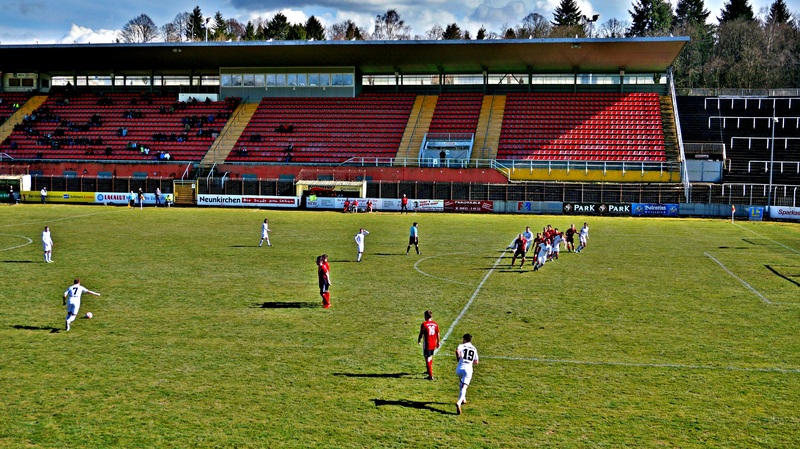 The visitors got 0-1 up after a defensive mistake 5 minutes before the break. 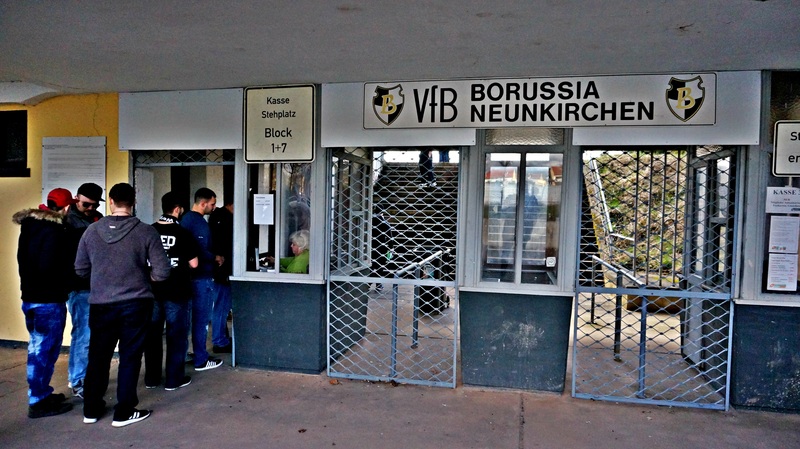 After the break Borussia started playing a bit better while Primstal forgot to finish the game on the counter. 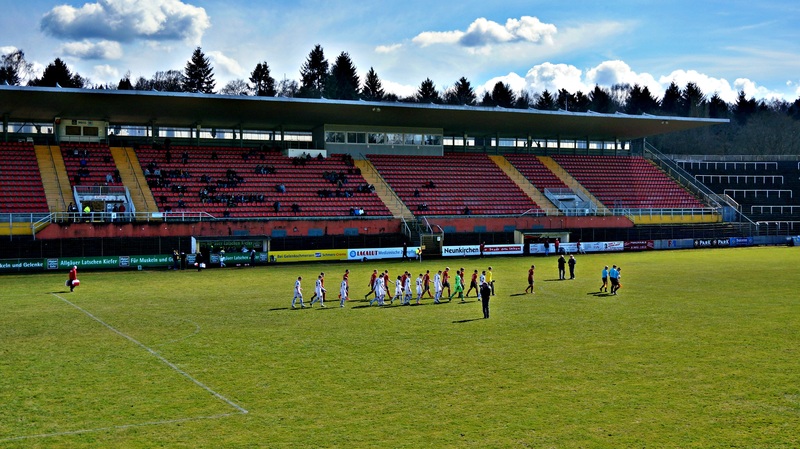 With 15 more minutes to go the home team got a penalty (1-1) which was followed by a red card for a visitor. 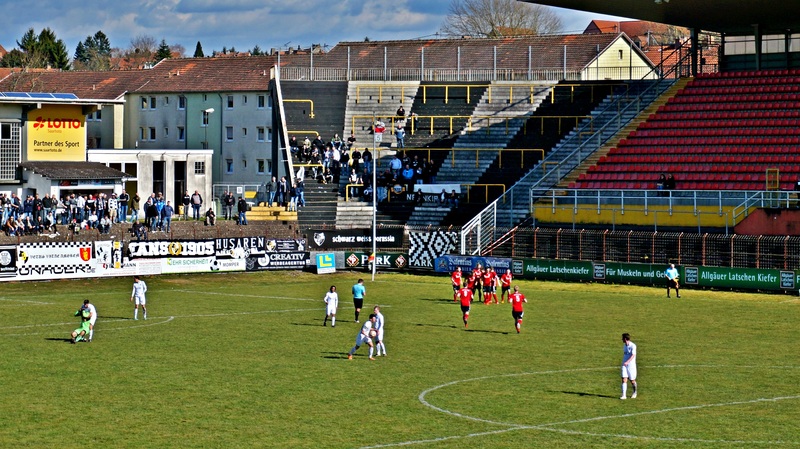 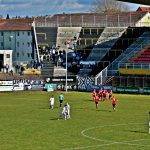 In the 3rd minute of the extra-time Borussia seemed to keep the 3 points at home as they made it 2-1 but the visitors from Primstal scored with the last kick of the game in the 96th minute; 2-2. 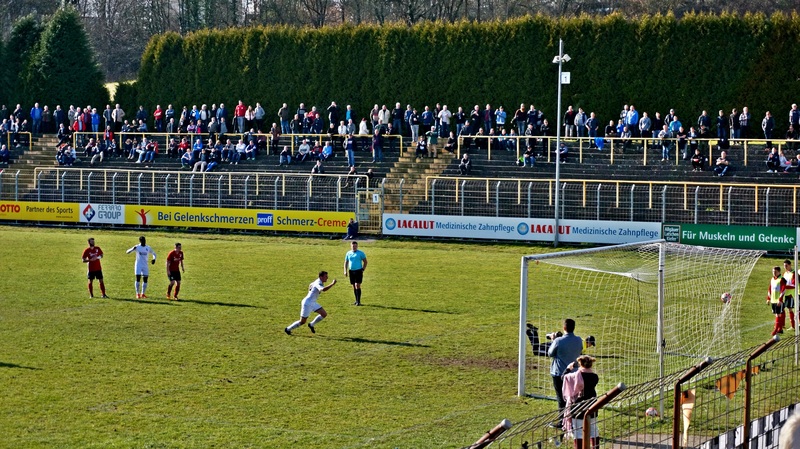 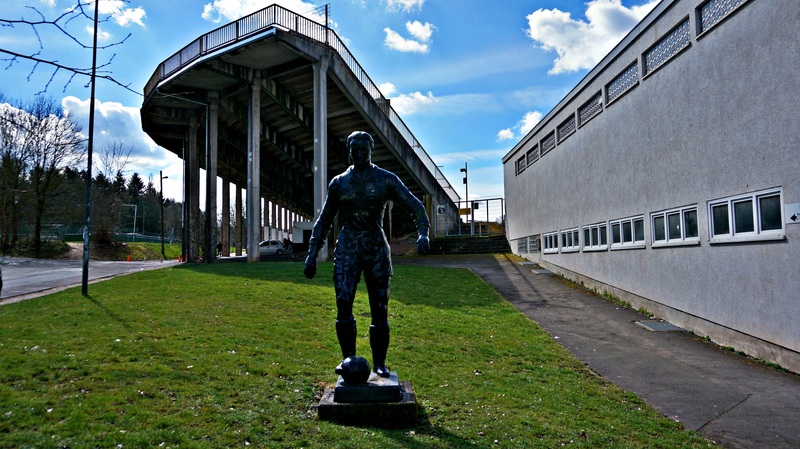 The Ellenfeldstadion was built in 1912 and opened with a game against Infanterie-Regiment 105 Straßburg (6-3). 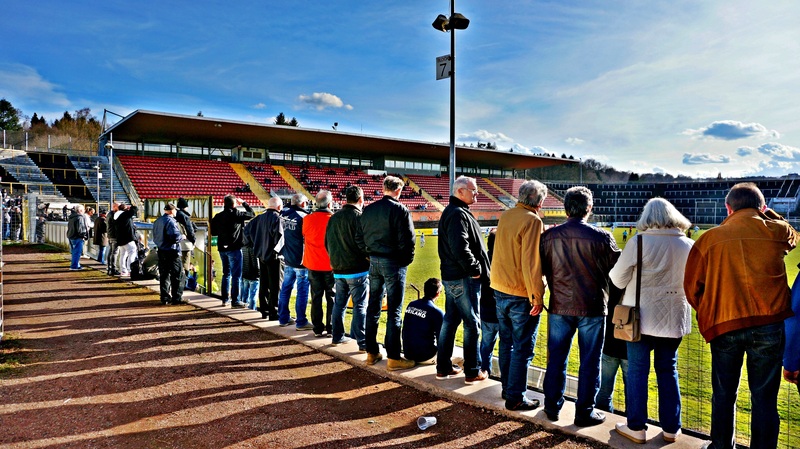 The ground can currently hold 19.600 fans while the record attendance is set at 31.000 spectators for a game against FC Nürnberg back in 1971. 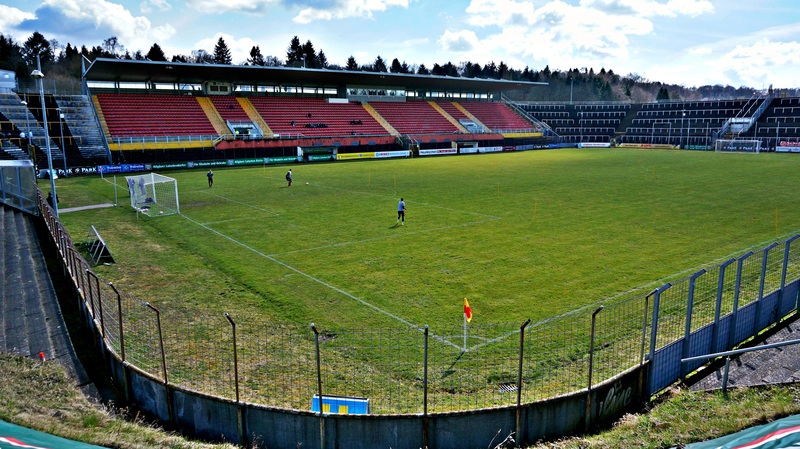 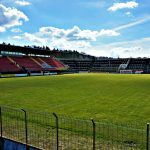 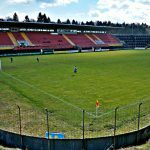 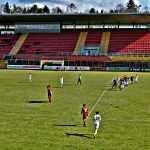 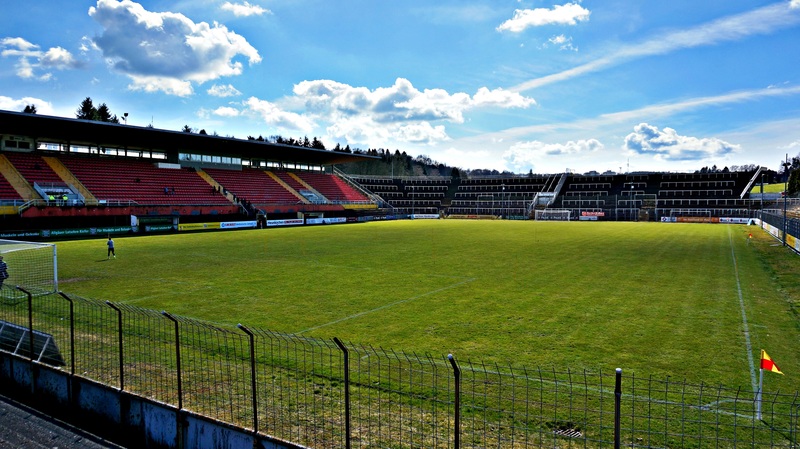 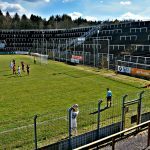 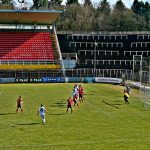 The ground was rebuild in the 60's so it could have been used for the national team but only 1 international game was played in the beautiful Ellenfeldstadion. 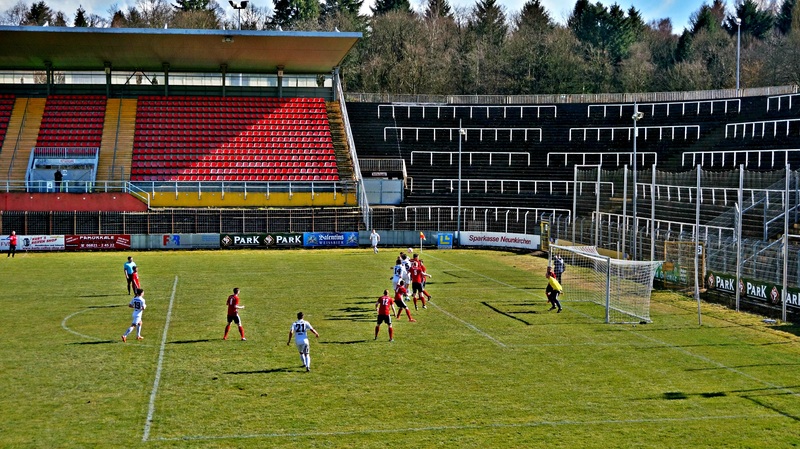 (1955, Saarland - Netherlands B, 4-2).